Poppy Flower – The Good, The Bad, The Beautiful! 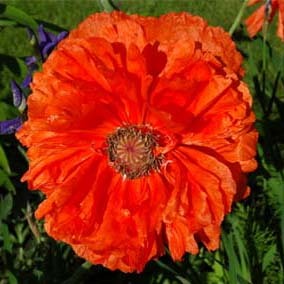 All poppy flower species belong to the poppy family. The decorative flower petals are brightly coloured in various colours: red, white, yellow, orange and blue. 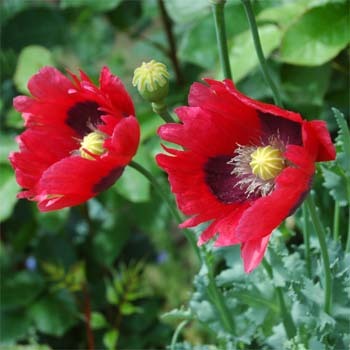 One poppy has reached fame beyond imagination: The Opium Poppy! Let’s talk about the good and the bad of this poppy. The bad: latex is leaking when the seedpods are lacerated. Then, the latex is chemically processed to produce heroin for the illegal drug trade. 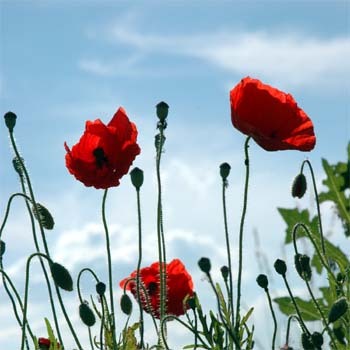 Yet, the good: Opium is produced from the latex sap of the poppy. Opium contains narcotic alkaloids, the opiates. Morphine, for example, is an opiate and it is widely used in medicine as a drug to relieve massive pain. Furthermore, poppy seeds are widely used in the kitchen especially for filling baked goods. Yummy! I wish I could have a poppy cake just right now! Maybe I should stop writing and just head to the next bakery to get one! 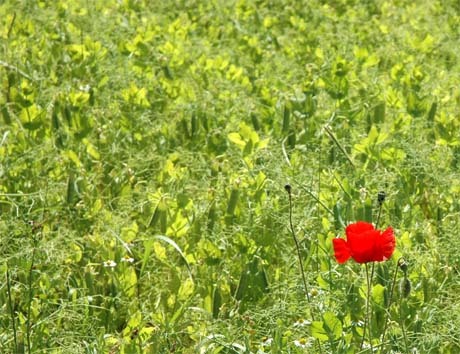 Actually, my favourite poppy is the wild red flowered corn poppy. When they bloom in the greenish, brownish, yellowish crop fields their bright red looks so pretty! On my home page I have placed a picture of yellow arctic poppies. I photographed them some years ago in Siberia, Russia, at the eastern coast of lake Baikal. Their bright yellow colour was competing with the bright blue of the sky. The complementary colours yellow and blue made this picture especially aesthetically pleasing!